The Social Engagement Agency for Tourism (The SEAT) is an early stage start-up that operates on a social enterprise business model. It aims to empower the youth to be digitally competent in promoting sustainable tourism and be active contributors in attaining sustainable development goals through meaningful engagements, online and offline. 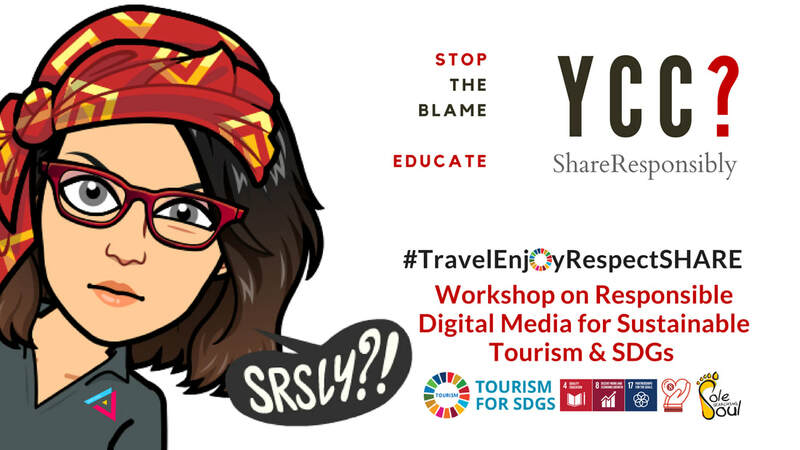 We're not just building a digital platform but a community of passionate young people who can be advocates of #Tourism4SDGs not only in the Philippines but also in Southeast Asia. The SEAT, as a non-profit initiative with promising sustainable and scalable impact, is inspired by the founder's insightful experiences as a young marketing professional, educator, ICT trainer and tourism social influencer. With strong collaborative spirit and development communication, The SEAT aims to build a community of Young Content Creators who will be ambassadors of their local communities, heritage and advocates of Sustainable Tourism practices. They will be our active partners in raising awareness for #Tourism4SDGs promotions not only online but most importantly offline. 2.) How might we empower the youth in order for them to be active contributors in their community development? 3.) How might we equip the youth with relevant skills in order for them to embrace digital transformation and be employed in tourism? It also empowers the youth to make a stand as they build their skills and competencies that enables them to actively contribute to community development and sustainable tourism practices. It's time for the Youth to take the SEAT and be highly engaged as one of the key tourism stakeholders and advocates of #Tourism4SDGs! Apple Allison is an ASEAN Tourism advocate and inspiring storyteller of SoleSearchingSoul.com, a blog and community engagement about purposeful passion in #MakingADifferenceOneTripAtATime and youth #Act4SDGs. She's a social influencer who engages her community and tourism stakeholders, especially the youth, to be active advocates of sustainable goals and inclusive growth. We love new event collaborations! Tap us and be part of our social club. We advocate for INCLUSIVE GROWTH. that spark inspired social action. Don't forget to check our previous activities on SoleSearchingSoul event pages and follow our TAAP Facebook page.